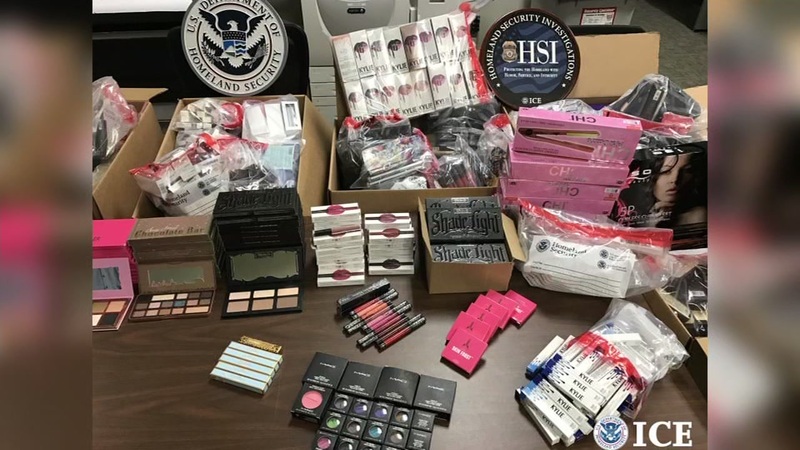 SAN JOSE, Calif. -- U.S. customs officials say a San Jose woman attempted to sell more than $50,000 worth of counterfeit cosmetics imported from Asia. They include lipstick products like Kylie Jenner's famed Lip Kits, Kat Von D branded contouring palettes and Too Faced cosmetics eye shadow palettes. Her haul also included hair styling products, eye shadow, eye liner as well as electronic curlers and straighteners.